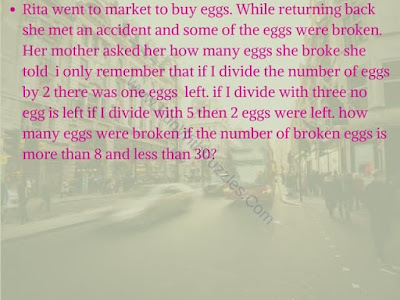 Here are some of very tricky but interesting brainteasers. Some of these brainteasers will require mathematical calculations and some of these brain teasers will require logical thinking to solve these. 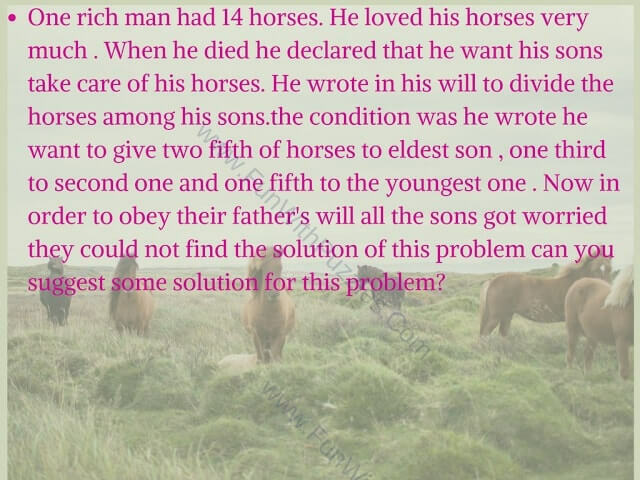 There are some brain teasers below which will require out of box thinking to solve it. 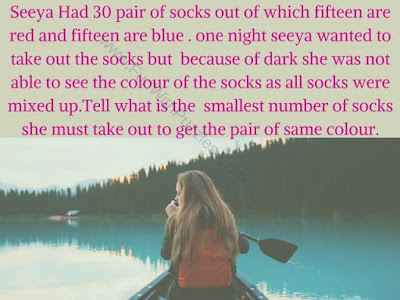 We are marking these brain teasers for adults as some of these brain teasers are very tough and kids will find it very difficult to solve these puzzles. However teens can also try these brain teasers as they may found it little tough but interesting depending upon their interest and knowledge. Answers link to these brainteasers is provided at the end of this post. This link contains the detailed explanation of these brainteasers. Do post you answers in the comment section of this post. 1. Can you tell How many eggs were broken? 2. 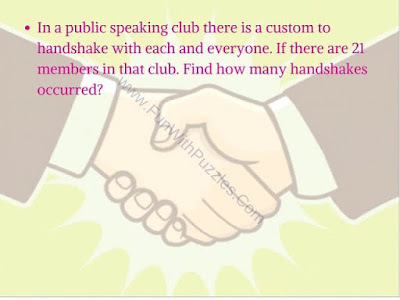 Can you find number of handshakes in the meeting? 3. Can you solve this logical problem? 4. Can you solve this mind twisting puzzle? 5. 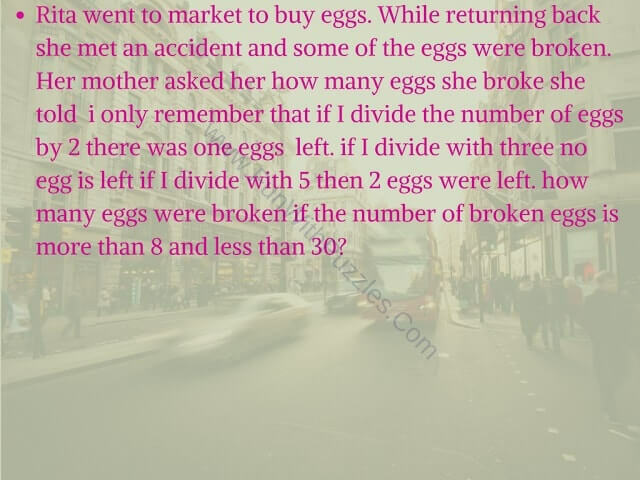 Can you solve this easy brain teaser? 1. Intelligent Reading Riddles to Twist your brain: Can you read? If answer is yes, try these intelligent reading brain to twist your brain. 2. Search hidden objects in puzzle images for kids with answers: Can you find hidden object in these easy picture puzzles. 3. Critical Thinking Puzzles-Crack the Code: Can you crack the code. Try solving these critical thinking puzzles of cracking the code and opening the lock. 4. 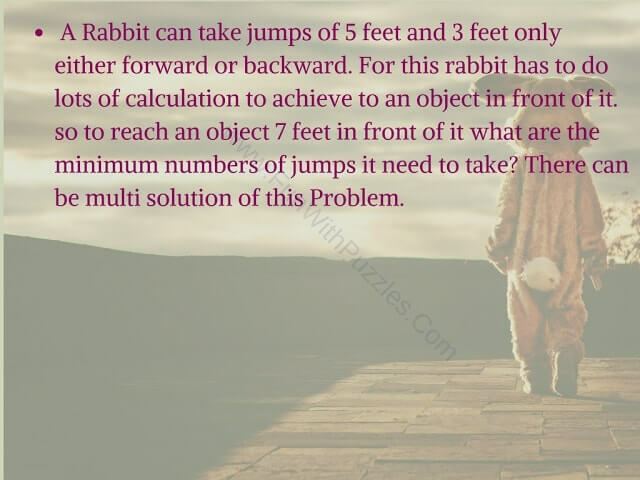 Brain Maths Logic Puzzles for Teens: Can you solve these fun logic puzzles which will require not only your logical reasoning but also mathematical skills.